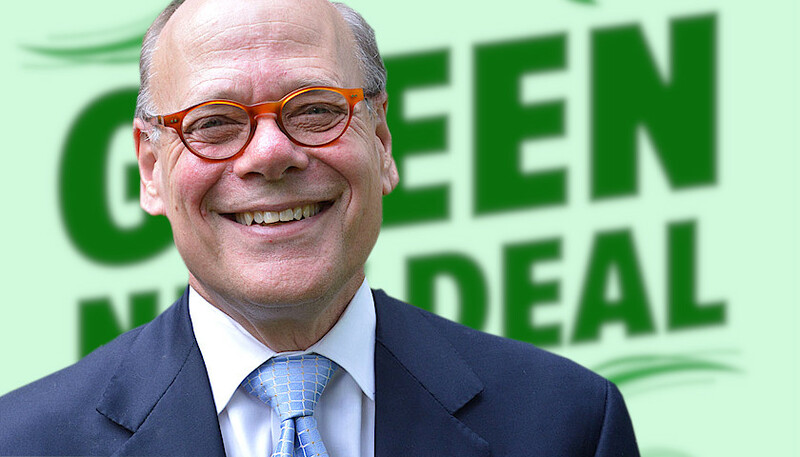 U.S. Rep. Steve Cohen, D-Memphis, not only endorses the controversial Green New Deal resolution — he’s co-sponsoring it. In a press release, Cohen said the New Deal of the 1930s that supposedly ended the Great Depression inspired Democratic lawmakers to propose the Green New Deal. “It contains a full employment initiative; investments in a transition to sustainable, non-carbon sources of energy; elimination of greenhouse gas emissions; and a commitment to addressing climate change as the existential threat it is,” Cohen said. As The Tennessee Star reported last week, New York Democratic Rep. Alexandria Ocasio-Cortez released the resolution that’s become a central part of the Democratic agenda, including backing from 2020 candidates. Cohen did not seem to make himself available to the media to discuss the issue to discuss his judgement on why this resolution is good for America. As reported, Cohen lost his temper at a news conference in Memphis in 2013 when Tennessee Watchdog asked former U.S. Health and Human Services Secretary Kathleen Sebelius what she would say to people whose health insurance costs doubled or tripled due to Obamacare. Cohen has also said Tea Party supporters are no different than arsonists and compared Republicans to Nazi propagandist Joseph Goebbels for opposing Obamacare. He also said the Ebola virus would mutate into a Biblical-style plague that would devastate Tennessee— unless state Republicans in the Tennessee General Assembly complied fully with Obamacare and expanded Medicaid. Photo “Steve Cohen” by Steve Cohen. Background Photo “Green New Deal” by Green New Deal. Hasnt any of these idiots figured this out yet? Lets just say to could actually make the USA 100% non-carbon based, and have a 0% carbon footprint. What are you going to do about China? What are you going to do about India and all the other countries that are trying to become economic and industrial power houses…….Checked out the air quality in Beijing lately? and just like the original New Deal, it will make things worse not better. Tennessee is also full of liberal fools to vote for an idiot like Cohen. Democrats/liberals destroy everything they control. Green? As in more green plants? That requires CO2, an essential component of photosynthesis and the life cycle. Yet this Green Deal is a draconian money and power grab to supposedly suppress the natural CO2 and impose many aspects of tyranny. These sponsors are SAY they are “pro-choice”, but ask them if their “New Green Deal” proposals are “pro-choice”? Yeah, right! No surprise here. He is so far left that he is off the liberal scale. Another example of West Tennessee idiocy. Liberals are no longer, liberal. They are either National Socialist or Soviet Socialist “far left” authoritarians. Just ask them if the proposed provisions of the “Green New Deal” are “pro-choice”. No surprise is correct. But scary when you realize he has “supporters”. They say “Birds of a Feather, Flock together” that got to be only reason this clown keep getting elected from his District. Cohen’s co sponsorship of this joke of a program is a new low even for him. What an embarrassment.